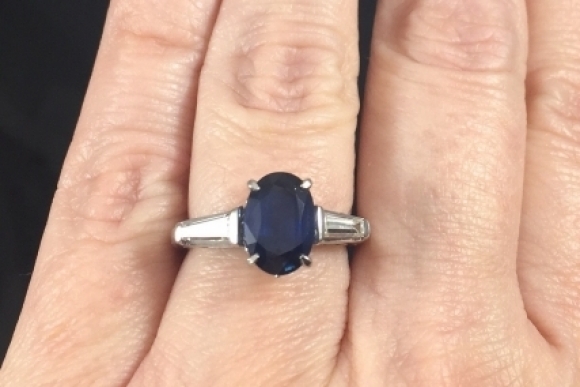 Whether celebrating an important birthday, anniversary, or looking for a classic alternative engagement ring, this sapphire ring will not disappoint. 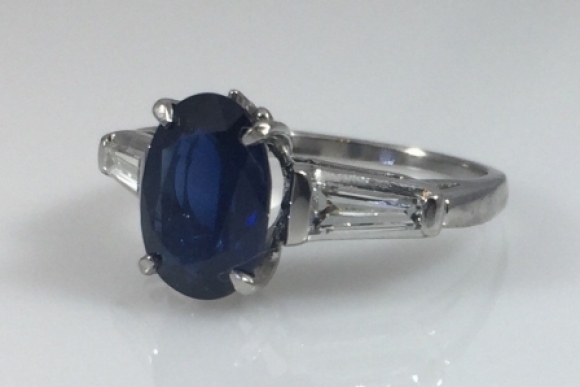 The platinum three stone ring, is set with a gorgeous natural blue oval cut sapphire weighing 2.60 carats. 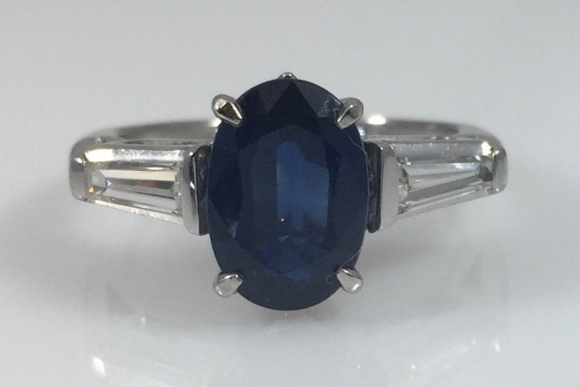 The sapphire is a rich, deep blue. Accented by tapered baguettes having a total weight of .50 carat. 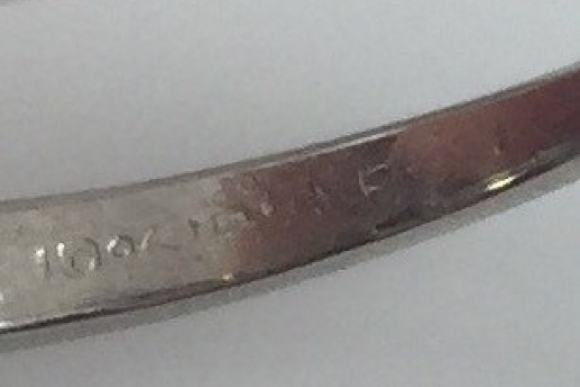 Acquired from an estate, the ring dates to the 1930s. This ring is a true timeless classic! 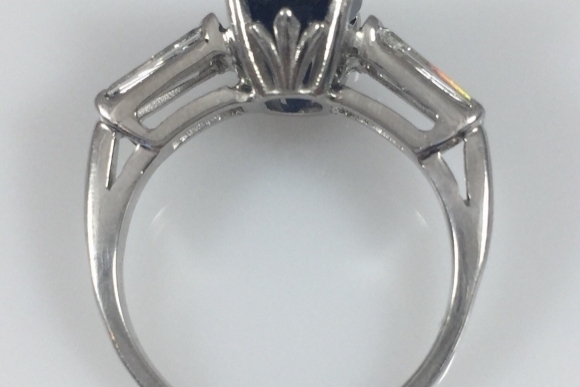 The ring is a size 5.75 and weighs 5.3 grams. 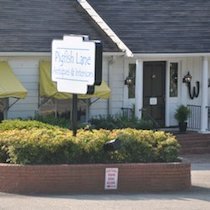 Sizing for a perfect fit is complimentary. The sapphire measures 9.9mm x 7mm x 3.9mm. The sapphire has been weighed, and the stated weight is accurate.